This spring, sunlight has serendipitously found me beneath varied green canopies. 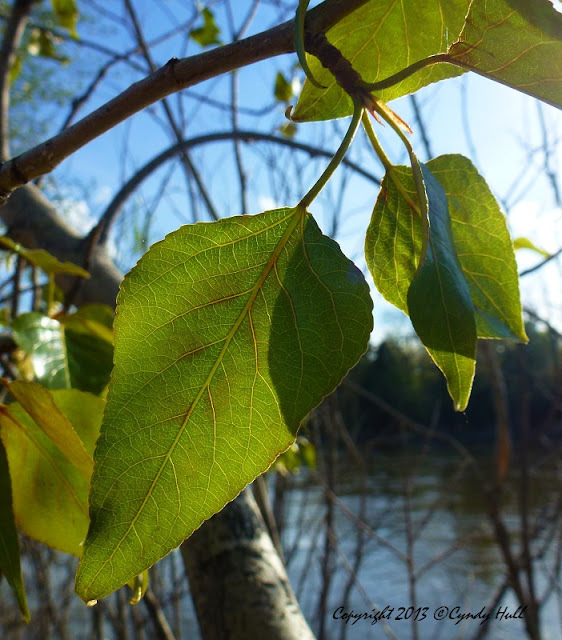 The light filtered through these poplar leaves is so vibrantly green, and for some reason provokes feelings of peace. Green light - move past the caution; go with it. Once again you've worked your magic with light and nature. Stunning.